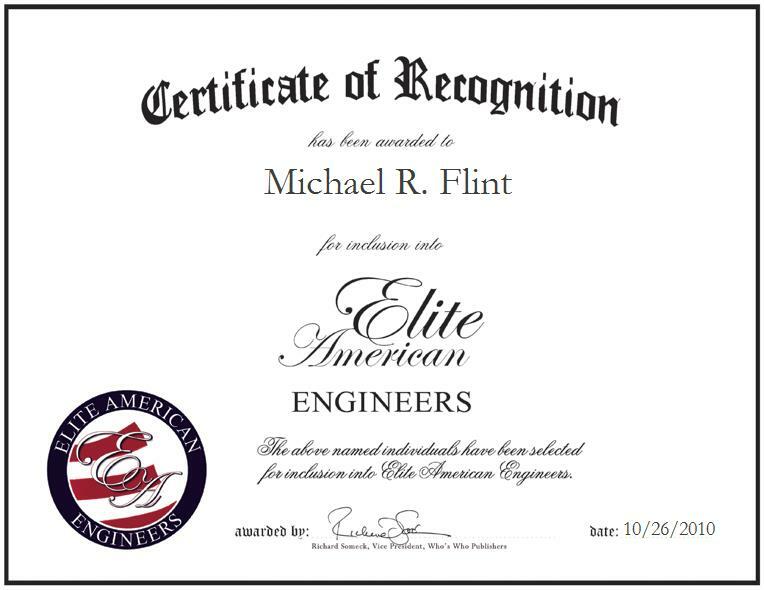 MINERAL WELLS, Texas | October 26, 2010 | Michael Flint, Vice President of Cool City Avionics, has been recognized by Elite American Engineers for demonstrating dedication, leadership and excellence in electronic engineering. Since 2004, Mr. Flint has contributed his 35 years of experience to Cool City Avionics. As the vice president, Mr. Flint is responsible for managing the engineering department. He designs electronics and software for the company’s main product line. Driven to enter his profession by his interest in airplanes, he attributes his success to his dedication, experience and ingenuity. In 1973, Mr. Flint received a Bachelor of Science in Electronic Engineering from Ohio University. In the future, he hopes to create a new software product line and dominate the market. Cool City Avionics is a manufacturing company that provides flight control systems for general aviation helicopters. Its clientele is comprised of many large, reputable companies. For more information about Michael Flint please visit his personal website at http://www.michaelrflint.com.